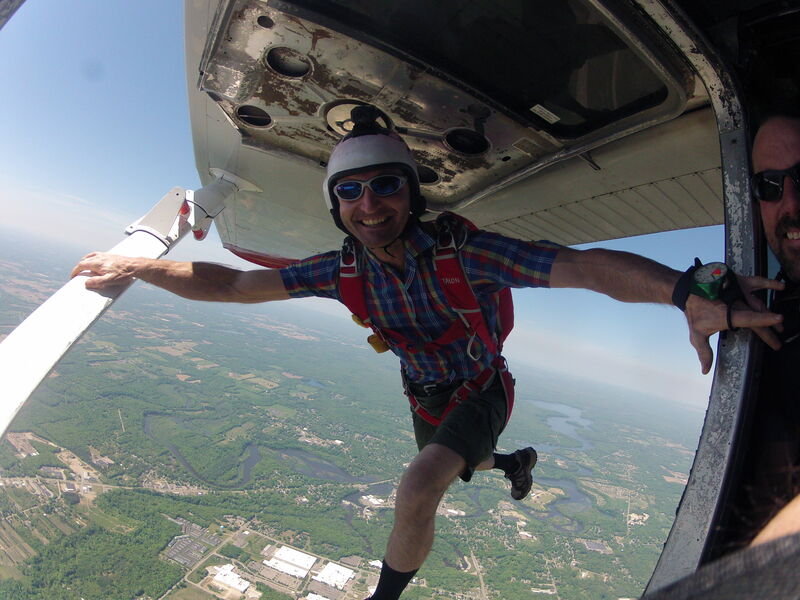 Skydive Allegan will again kick of it’s skydiving season with an annual Safety Day event. In early spring, the skydiving season for much of the country is just crawling out of hibernation. Most skydivers don’t jump through the cold months as often as they do in the summer, and their skills are a bit rusty. That’s when Safety Day comes. Established in 1997 from an idea by Patti Chernis, Safety Day provides a worldwide forum at local drop zones to prepare jumpers for the year ahead. Safety Day promotes safety programs and helps inform jumpers of new developments and review important information and procedures. Activities typically include hands-on review and practice of safety procedures, seminars from skydiving operation professionals and experts, equipment evaluations and more. Safety Day is not a refresher course for student skydivers or experienced jumpers who are not current. Keep an eye on our events calendars and Facebook for upcoming refreshers and First Jump courses. Following the Safety Day presentation we will serve lunch and refreshments. See you at Safety Day!